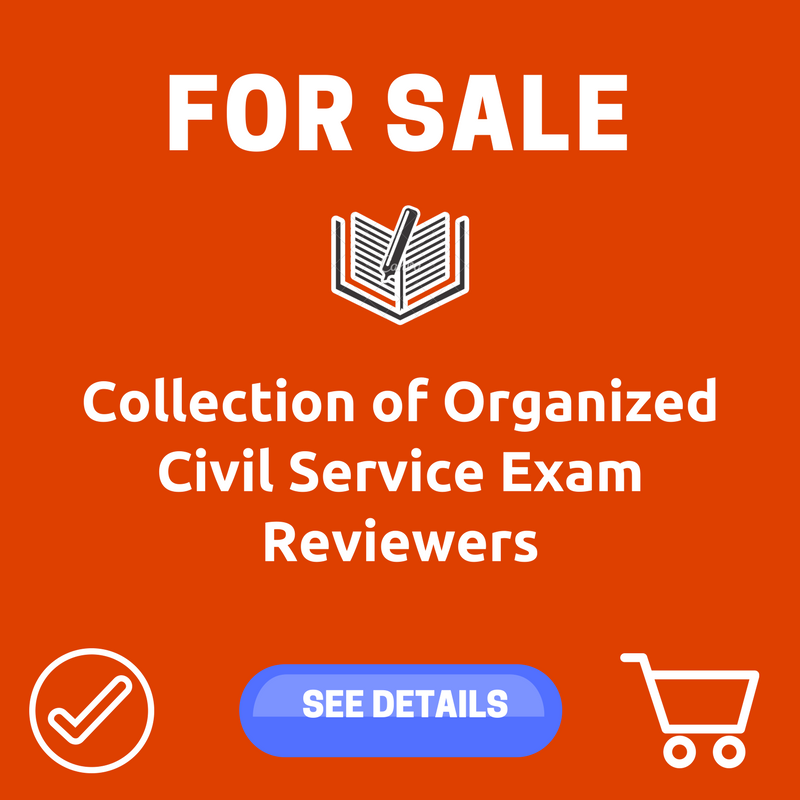 Signup today for free and be the first to get notified on new updates about Civil Service Examination. The following are the Word Analogy Questions in 2017 Civil Service Exam. This can serve as your reviewer to the upcoming Civil Service Examination. DIRECTIONS: Determine the relationship of the first word to the second word in capital letters. From among the suggested answers, choose the word or group of words that best expresses a similar relationship to the third word in capital letters. On your Answer Sheet, shade completely the bubble that corresponds to your answer. 83. DEATH is to EUTHANASIA as LOVE is to . 86. COMPUTATION is to PROBLEM as is to ANGER. 90. TICKET is to TRAIN as KEY is to . DIRECTIONS: For each sentence, complete the analogy by choosing a pair of words from the suggested answers. On your Answer Sheet, shade completely the bubble that corresponds to your answers. 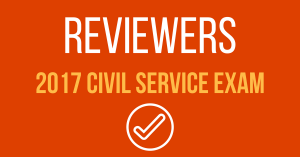 please give a copy of civil service exam for my references, thanks in advance.